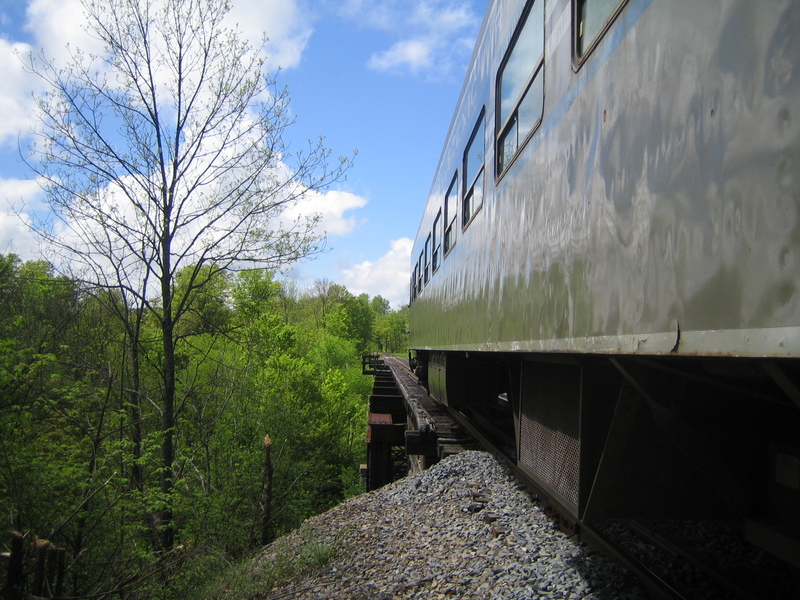 It’s the Adirondack Scenic Railroad’s first blog post! New Technology at the Railroad!! Recently, the Adirondack Scenic Railroad has made a large push to improve our social media and online presence in order to better serve the needs of our passengers. Our new website, www.adirondackrr.com, will be frequently updated with news about what is going on at the railroad- new special events, progress made towards the completion of the Utica- Lake Placid rail corridor, and various other projects. Keeping with the theme of having a more accessible, tech-friendly business, we have implemented a new ticketing system. By using Vendini, a cloud based ticketing company, ticket purchases mobile-friendly, reward loyal customers with presale tickets to special events, and let our passengers share more with their friends. Want to purchase tickets for the Polar Express? Tell your friends about it by posting it to your Facebook page with a direct link so they can purchase tickets for the same train and you can all be seated together! New Equipment at the Railroad!! The Adirondack Scenic Railroad has had lofty dreams of constructing a swanky first-class car for years- this is the year that that dream is becoming a reality! Volunteers, led by Dan Bogden, have been working for months to remake an old ConnDot commuter car into our first class car, to be used during our Wine & Beer Tasting Trains, Polar Express, and for special parties. Currently in the final stages of the project, new carpet has been installed, construction of a bar is beginning, and tables and chairs are being secured in place. The baggage car operating on the train out of Utica was recently given a facelift. Two local artists, Tony Thompson (www.TonyThompsonArt.com) and Tim Rand (www.TRandArt.com) painted a large city scape mural in the interior of the car- now outfitted with two bars, serving for our Utica-based Wine & Beer Tasting Trains will happen right in the car, accompanied by live musicians on each trip! Check back for more news regarding our Wine & Beer Tasting trains soon! Currently the 8223 and 1835 are in our mechanic shop, located on the former Griffiths Air Force Base in Rome, NY. The 8223’s batteries are charging and bearing work has begun on the 1835. Later this season the 1835, purchased just this past year, will be outfitted with a fresh coat of paint. In the next edition- updates regarding the start of our season in Thendara, Saranac Lake, and Lake Placid as well as news about our revamped Wine & Beer Tasting Trains!